As they mentioned to back in June, they were working on a new team, although they didn't really give out many specifics. Today, that seems to be changing with a major announcement that a new studio is being formed comprised of original PA developers and long-time community contributors. This is really fantastic news, since there's quite literally nothing else similar to PA on Linux. They're promising no more silence, so hopefully they will put out some kind of roadmap. They will also be working on performance improvements, setting up a Discord server and so on. One of the first major things I hope they do, is merge Planetary Annihilation and TITANS together into one proper game. Right now the community is fractured, because of their decision to make a new game that's basically an expansion of PA. I honestly don't see a point in them keeping it separated any more, it just causes confusion. For now though, if you own PA but you don't own TITANS they've permanently increased the discount to upgrade to it, which is a start. It's going to be very interesting to see what they do with it. I'm a huge fan of the game, so I hope they keep the Linux version nicely polished. I have the game and it was fun to play, but it's pace can quickly overwhelm you. I've retired to less stressful turn based strategies. I do love the visual style of the game. can anyone give me background to what was going there? Why they had to make a new company? My sons love this game, although they haven't played it on Linux - yet. I just blew away Windows 10 on my supercomputer and installed Kubuntu 18.04. Next time they play Titans will be with penguins! Colombo can anyone give me background to what was going there? Why they had to make a new company? I don't know what the background is, but the Uber Entertainment had a rough time when they decided to close off their Uberent framework due to GDPR, which resulted in two games being closed – their SuperMNC and 3rd party Loadout, so it might be somewhat related. Still, good to know that Planetary Annihilation is going on just fine. 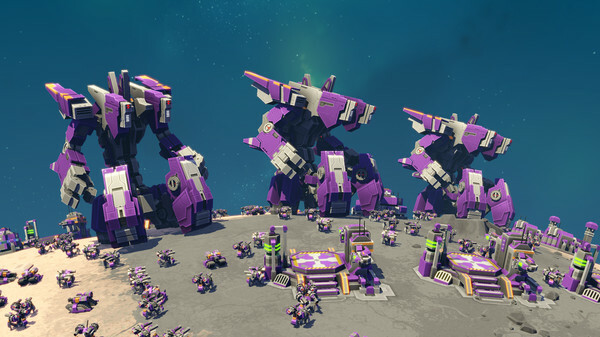 I bought Planetary Annihilation just 2 or 3 weeks before TITANS, because of what they did about TITANS, I'm not playing or buying anything else from them.